China is the land of thousands of years of wisdom. In this time, China has evolved into a culture that places immense importance on the gifting and ritual importance of flowers. Today they are in the 21st century, with the country opening up to western ideas and influence a beautiful amalgam of east and west is what on display in the world’s largest economy. Gifting flowers in China, till today, is a prevalent and important custom. Helping you choose the right flowers for your gift, is the aim of this guide. Chinese culture has always placed great importance in flowers, which feature heavily in their proverbs, poetry, art and literature. In 1903, the Qing (pronounced Ching) dynasty, declared the Peony as China’s national flower. Traditionally the Plum Blossom, also is one of the floral symbols of China. Orchids are one of China’s favorite flowers and stand for nobility, integrity and platonic love. Chrysanthemums also denote nobility, elegance and are thought to attract good fortune. In the Chinese context, Lilies symbolize a happy union that lasts a 100 years. Gerberas in their different hues stand for happiness, gratitude, and friendship. 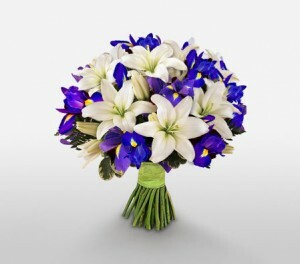 Asters and Irises are the choices of gifting flowers during illness as they signify hope. Hydrangeas are the flower of choice to symbolize best intentions. Love, fascination, and gratitude are some of the meanings of the Carnation. In the Chinese context, celebrations form a huge part of everyday life. As the world’s largest economy and increasing purchasing power, the Chinese are amongst the largest consumers of flowers in the world. 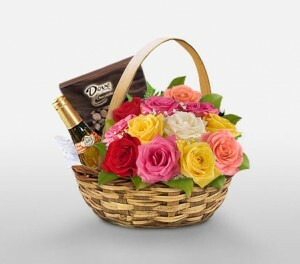 Flowers, both local and imported are extremely popular as gifts for various occasions, both intimate and public. Chinese society is as layered and complex as it is; picking the right gifting flowers based on occasions, days and festivals becomes extremely important. So the below section will deal with popular occasions in China, and the flowers that are considered appropriate to be gifted on these occasions. The Chinese used to be a very guarded, almost cloistered culture, where public expression of sentiments was frowned upon. But in the 21st century, Valentine’s Day is celebrated all over China, with great fanfare. If there’s a particular Chinese maiden that has you enamored, this is the perfect occasion to win her heart with a floral arrangement. Of course, we’ve got your back! 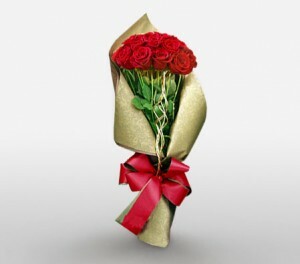 You can never go wrong with a bouquet of Red Roses that symbolize passion. But if it is a break from tradition you seek, look at combining Red Roses with Orchids, Lilies and Wax Flowers in order to truly wow her. Chocolates and Chocolate Confections like cakes would also make a great gift. 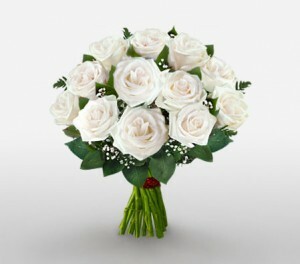 Book your bouquet well in advance in order to get it at a good price, and avoid disappointment. Combine a plush toy like a Teddy Bear for maximum brownie points. The Mid-Autumn Festival is held on the 15th day of the eighth month in the Han calendar—essentially the night of a full moon – which falls near the Autumnal Equinox (on a day between September 8 and October 7 in the Gregorian calendar). Traditionally the Moon Festival marks the end of the summer harvest. To the farmers of China, the festival is a celebration of thankfulness for heaven’s bounty. It has been celebrated by the Chinese people since at least the first century. Flowers play an important part in the Moon Festival. Popular flowers for this festival are Orchids, Sunflowers, Stargazer Lilies, Roses, and Carnations. Send Moon Festival flowers, moon cakes, and gifts to your Chinese friends. Make Traditional handmade paper lanterns and lit it with candles. International Women’s Day, celebrated on the 8th of March, is an important occasion in China. With the opening up of the economy, the role of the woman has gotten intensely diverse and her contribution now spans a wider gamut, from just raising children, it has now diversified to the boardroom as well. So in order to acknowledge the contributions of the various women in their lives, Chinese men spare no expense when it comes to floral tributes and bouquets. Some of the important flowers for the occasion include Roses, Asters, Carnations, Lilies, Orchids, Chrysanthemums, and Iris. Choose your floral arrangement based on the role of the woman in your life. Red Roses and Lilies are apt for spouses, lovers or girlfriends, for mother, a mixed bouquet of Pink and White Roses are preferable. In an office setting, for a boss or female coworker, neutral flowers like Chrysanthemums, Asters and Irises are best. In the traditional Chinese family set up the mother is treated with a lot of respect and reverence. With the opening up of China to the West, the idea that one day in the year is dedicated to the mother has gained ground and Mother’s Day celebrated in the third week of May has become a really important festival. Need a few tips to get the flowers right? That’s actually a whole lot simpler than you’d expect. Think a riot of colors, maybe a combination of Roses in different colors. Want to dazzle your mom, with color and meaning? So think Roses, Gerberas, and Lily. Other flowers to add to the color celebration include Orchids in their different hues and Carnations. 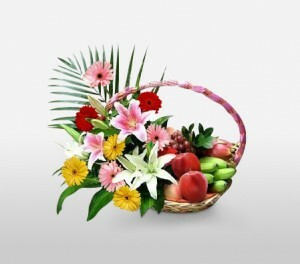 Adding a Mix Fruit Basket to your gift would be a lovely complimentary touch. Chinese culture places great importance on respect for elders as the cornerstone of family and social life. So the Western holiday of Father’s Day, or a day to pay respects and tributes to the family patriarch, fit well perfectly in with Chinese mores and has been adopted with open arms. Celebrated in the third week of June, Father’s Day sees floral tributes, sweets and other gifts showered upon Fathers in all walks of life. Some of the most popular flowers on offer include Roses, Lilies in different colors and Orchids. Gift one or a combination of these and you couldn’t possibly go wrong. Adding a gift like a fountain pen or perfumes to the mix elevates your floral offering to a whole new level of thoughtfulness. Christmas is less about the birth of Christ in China, and more about the coming together of the family to celebrate togetherness and have a good time. As in the West, people spend the day indoors with their families, exchanging gifts, admiring the Christmas tree and treating themselves to a great meal. Flowers though play an integral and important role in the celebration as an item of gifting and decor. Popular flowers around this time include Red and White Roses, Queen Anne’s Lace, Lilies, Gerberas, Red Poinsettia, Carnations, and Chrysanthemums. In some parts of China, the month of December can be extremely cold, therefore limiting the chances of acquiring gifting flowers. We suggest book your Christmas arrangement about a month in advance so you can get it at a good price and at on time. How To Get The Right Flowers For Different Occasions? After taking a peek at the various social and communal celebrations and the appropriate flowers for the same; the question resurfaces, what do I do for events or occasions of personal and familial significance? Flowers help us express both joy and sorrow and gifting flowers at Birthdays, Weddings and Funerals is not only a thoughtful expression of how we feel but also a mandatory social convention. The Chinese place a lot of stock in flower symbolism and the inappropriate flower can be misconstrued as a slight, rather than the compliment it was supposed to be. Helping you get this just right, is what this next section is all about. As with anywhere else in the world, China is big on celebrating birthdays. 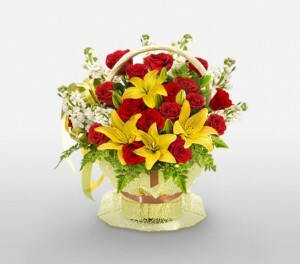 As friends of the individual celebrating the birthday, you would want to ensure that your pal, has a great day and enjoys the flowers he’s gifted. So here’s the lowdown on the right flowers for birthdays in China. The flowers to go with: You could never go wrong with White, Red or Pink (or all 3) Roses (for intimate relations like a girlfriend, father or mother). If it is a close friend, Gerberas as the main flowers (in various colors) are perfect, because they’re the flowers of friendship. 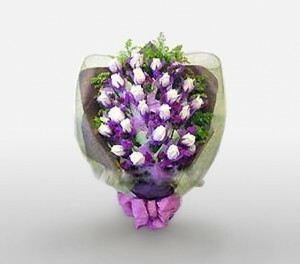 Other popular flowers include Lilies, Asters, Irises, Carnations etc. Combinations: Gifts are the perfect way to make your friend feel special. So think about what they like, and get them one accordingly. From books to perfume and from gift cards to gourmet meals, gifts of all sorts are always a thoughtful touch. Birthday Greetings: Greeting Cards are a perfect way to supplement and elevate any troika of gifts. The greeting ought to be something to the effect of: “Wishes that come straight from my heart to yours, I wish you acquire all your hearts desires. I wish you have health, wealth and love always! Happy Birthday”. A hand-tied floral arrangement is an artisanal take on the traditional bouquet. Always research the meaning of various flowers before including them in your arrangement, so as to avoid misunderstandings or embarrassment. Chinese weddings for quite some time now have followed the ceremony/reception pattern of the West. Flowers at both the nuptials and the reception venue are excellent gifts for the bridal couple. 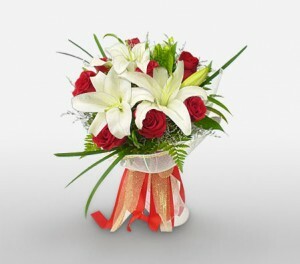 Choosing congratulatory flowers: Red and White are the combinations to go with as they signify love and purity. Roses in Red and Pink and Wax White Lilies are the gorgeous accouterments for the wedding gift. Combinations: Wedding registries are incredibly popular in China, and most well-heeled couples will opt for one. It is best to inquire about the registry where the couple has set up their wishlist and add an appropriate gift to your floral arrangement. Wedding Greetings: Expressing your congratulatory wishes to the couple is best done with a handwritten message in a card. Something to the effect of: “Thank you for inviting us to bless your union, we wish you love, peace and prosperity. And hope that your journey on life’s road is a never-ending discovery of sweet surprises. Congratulations on your big day”. 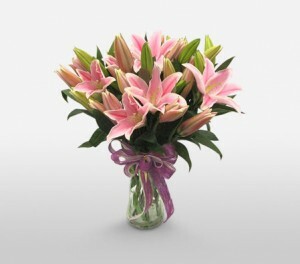 Flowers symbolizing love like Roses and Lilies are indispensable to a wedding bouquet. 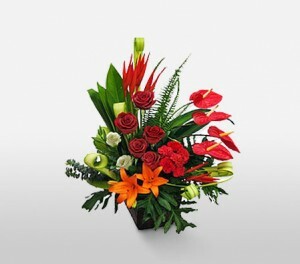 S-shaped arrangements or a high vertical arrangement is the way to go. Funerals in China sober, somber affairs where the bereaved family is consoled by the community of friends and relations, at the loss they’ve suffered. Flowers are an excellent way to show solidarity and condolence and must be proffered appropriately. Choosing flowers to offer condolence: White flowers are the general standard at funerals as they signify purity and express hope along with sadness. So White Lilies, Roses, Daisies and even Chrysanthemums are an appropriate token of condolence and solidarity. Condolence Messages: Keep the condolence message genuine and simple. Something to the effect of: “May God bestow you with the strength to bear your grievous loss. We pray that his soul finds eternal rest. We’re with you in your time of need. Our heartfelt condolences”. Wreaths and sprays are the preferred styles of the bouquet as they can be placed directly on the coffin or grave. While white flowers are the standard at a funeral. A loving tribute to the deceased would definitely be a bouquet or wreath of their favorite flowers. Which Countries Does China Import Flowers From? Ever since the economy opened up in the early 90’s, China has grown to be the world’s largest economy. Greater purchasing power and the introduction of Western holidays have seen a massive surge in the appetite and demand of gifting flowers. Exotics such as Tulips, Wax Flowers and Gerberas are imported from European Union countries like Holland, Italy, Spain, and Germany. Orchids from India and tropical lands like Samoa and Hawaii are wildly popular. Chrysanthemums are a local flower, but some varieties are even imported from Japan. In the near future African Roses, Sunflowers and others are seen to be the next wave of imports. Local flowers are best: Local flowers are used to the climate, have a certain significance to the populace and hold their shape and freshness longer. Research the meaning of flowers: In one culture the Lily may be considered a mourning flower, whereas in another, the romantic aspect of the same flower may hold more importance. Depending on the culture, it is important to research the meanings of the flowers before considering gifting them, in order to avoid inadvertent disrespect or embarrassment. Checking the overall state of the flowers: If and when possible always check the overall state of the flowers before incorporating them into your bouquet. Even the slightest of blemishes can aesthetically damage the appearance of the arrangement. Flowers with blemishes often spoil early and can be perceived as sloppy, or disrespectful. Check the credentials of the florist/flower delivery service: Every online florist/flower delivery service is generally rated by previous users. Take the time to view the testimonials section, or visit online review sites like Yelp that will feature user reviews. Make an informed decision, in order to get the best possible quality. Choose a clear vase in order to properly display flowers. Add a good amount of water to the vase. Cut the stems regularly to keep them fresher, longer. Keep flowers in a cool, dry area, away from heat emitting appliances. Change the water in the vase daily or whenever possible. Follow the care instruction that comes with the bouquet. The Chinese culture can often seem very confusing to the uninitiated. It is very high on social politeness, decorum, and conduct. Naturally, then they are particular about the meaning and symbolism of flowers, which can make buying gifting flowers a little tricky. With this simple guide, however, gifting flowers in China is incredibly simple, wouldn’t you say?.